Google seems to have launched image thumbnails in the sitelinks of the mobile search result snippets. 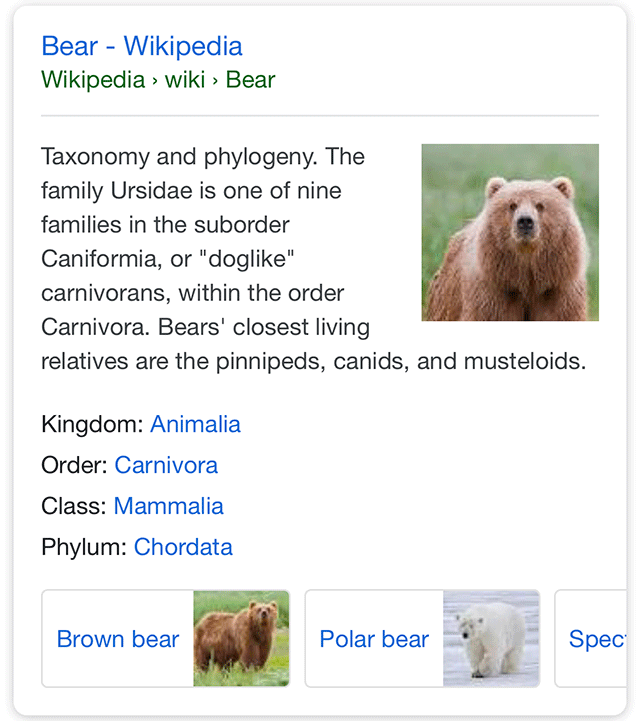 If you search for [bear] on Google mobile search and look at the Sitelinks for the Wikipeida snippet, you will see these images in the Sitelinks carousel. 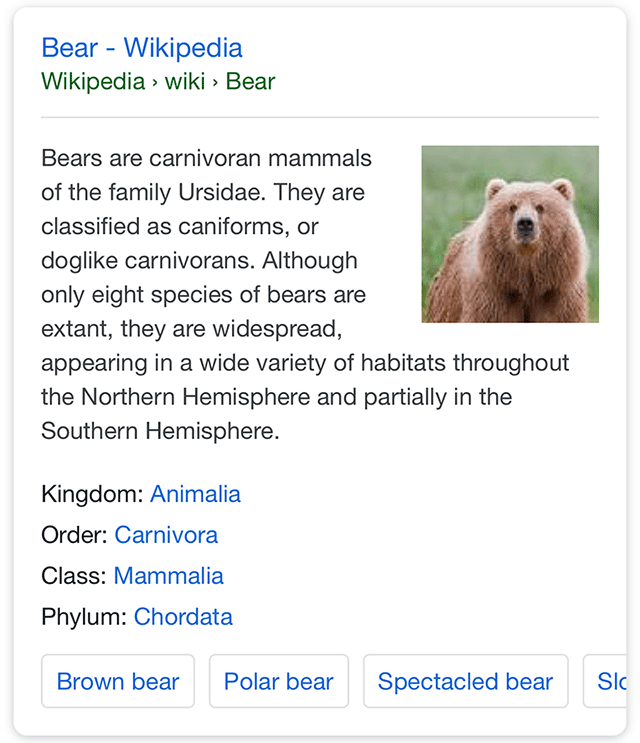 I reported this yesterday at Search Engine Land based on an article from CNBC on how this feature was approved, simply because the data showed searchers like it. I tried to replicate it for cat, lion, rat, etc - so far no luck yet. But I do suspect it comes up for a lot of searches on mobile. This does look like a similar effort to the image thumbnails for image search refinements we covered just before.